Bold with benefits. The 2019 ROXY POP Surf collection is sustainably minded & fashion forward. Cutting edge materials and technologies breathe new life into this iconic collection with the aim of leaving the planet better than we found it. Reclaimed waste is recycled into fibre and fabrics, then cut & sewn to create Pop Surf swim, while wetsuits are constructed with minimal water usage & without toxic solvents. It’s about finding balance, making the right moves & bringing fashion and function together for a better world. May the mountain and wave stand forever. In your household and workplace. Investigate your area's recycling policies & programs and use them. Take the time to do it properly & inspire others to do the same. regenerated polyamide in our wetsuits' nylon. To celebrate the release of POP Surf collection, ROXY has partnered with The Surfrider Foundation, a worldwide not-for-profit organization dedicated to the protection and enjoyment of the world's ocean, waves and beaches through a powerful volunteer network of everyday people who passionately protect their playgrounds. We know we have a long way to go in our mission towards sustainability. 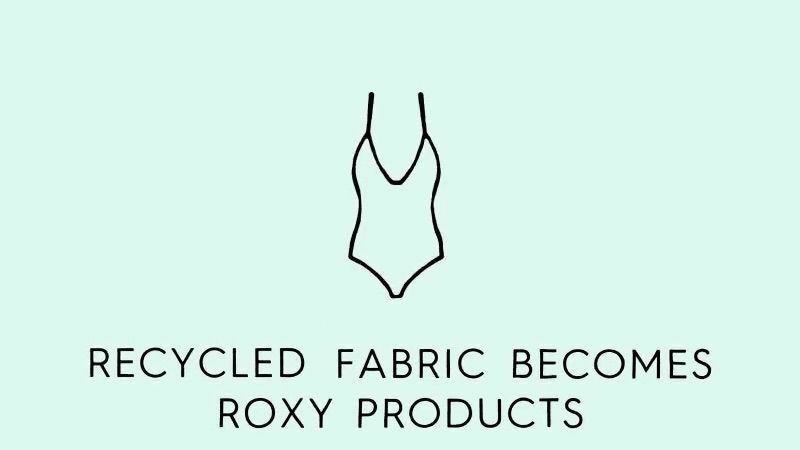 The steps taken here for more eco-conscious products & construction methods are just the beginning for ROXY. From future, eco-fabricated Snow collections to educational partnerships & low enviro-impact events, ROXY vows to Take A Stand in 2019 and effect a change for the better–for the world & for all of us, today & tomorrow.